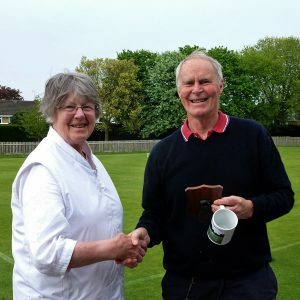 Jayne Taylor of Chester ( who only entered to cover the absence through illness of another competitor) took the North West Federation AC short lawn Millennium title at the annual tournament hosted by Chester on Saturday, 12 May. But it was no easy ride! 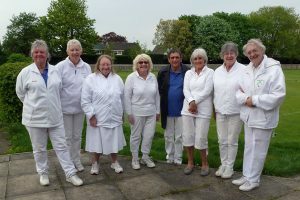 Eight experienced players ( two each from Fylde, Chester and Bowdon and one each from Bury and Southport ) assembled on Chester’s verdant lawns on a cool but sunny day. As is normal with a Swiss format the two morning rounds spread the field. By lunchtime last year’s winner, Sally Slater of Chester, and Fylde’s low handicapper, Liz Wilson, found themselves at the bottom of the pack ( ” Past performance is no indicator of future success ” as the financial pundits tell us) while Jayne and Barbara Young of Bury registered two wins apiece to lead the field. An excellent lunch provided by Pat Clare and her team led to some changes in fortunes. 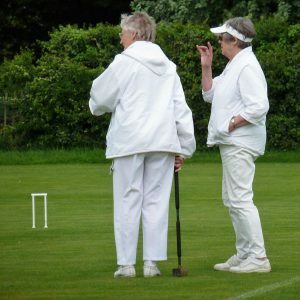 Barbara lost both of her afternoon games to go down the field while Sally registered two victories ( but was too far back to make an impact). 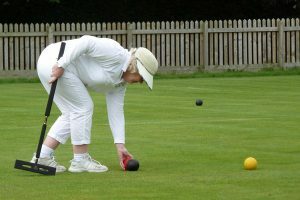 Peter Wilson and Sylvia Steer played themselves into contention with narrow wins over Margaret Moss and Gail Moors respectively while Jayne extended her lead with a further win. 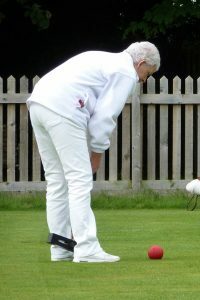 The final key matches had the manager on tenterhooks. A win for Jayne would make life easy for him whilst a victory for Peter would lead to a three way tie with the manager frantically brushing up his tie break knowledge. 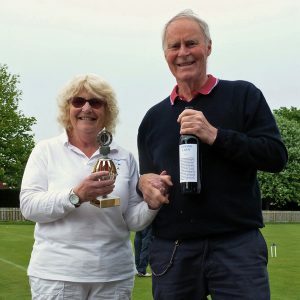 Jayne took home not just the trophy but a bottle of the “world famous” Chester Sloping Lawn “vintage” wine ( to compensate for her handicap reduction to 5) while Sylvia opted for a Chester Club mug ( and the runner’s up trophy) as a memento. 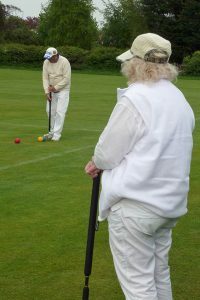 In short an enjoyable day with much excellent croquet played by all.